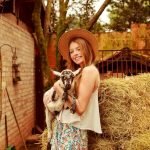 Looking For The Best Dog Shampoo For Dander? Here’s a look at our favorites, including our top pick – Paw Perfect Deodorizing & Cleansing Pet Shampoo. 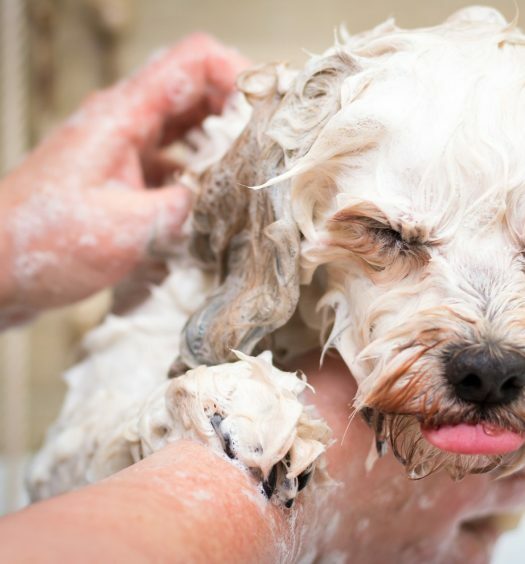 One of the best solutions is to regularly wash your dog with a hypoallergenic shampoo that scrubs away the existing dander and keeps their skin moist to reduce the amount of dander they produce. This practice is especially beneficial for dogs with sensitive, irritated, or inflamed skin that produces excess dander and flakey skin. Call me a hipster millennial all you want, but I prefer to use all-natural solutions whenever possible. They’re good for your body and good for the environment, so it’s a win-win for everyone. At the same time, cost and value are definitely important, and it can be difficult to find natural products that aren’t too expensive. So, my goal today is to provide you with a few suggestions of top-rated products that strike the delicate balance of all-natural ingredients in an affordable product. 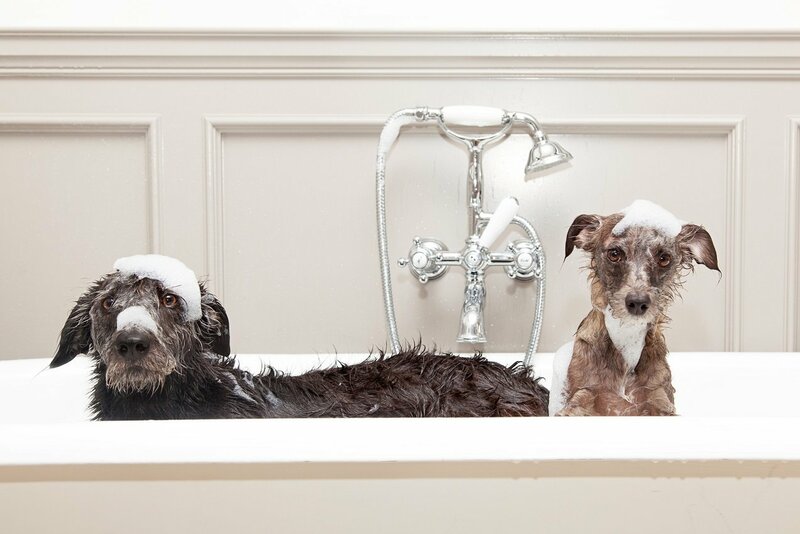 Natural vs artificial ingredients – if your dog has sensitive skin, you’ll want to go with a natural, hypoallergenic shampoo that’s gentle on their skin. A shampoo with artificial ingredients will probably irritate their skin more, resulting in even more dander production. 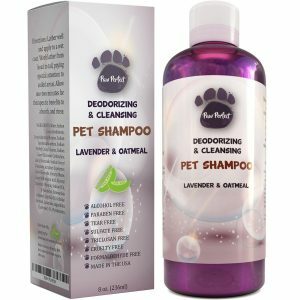 This hypoallergenic colloidal oatmeal shampoo with pure lavender is great for dogs with sensitive skin. As the shampoo fights off skin irritants, the natural ingredients moisturize flaky skin and restore essential oils to fur. The primary ingredients—colloidal oatmeal, lavender, and jojoba—work together to relieve itchy skin. It’s a maximum strength formula that’s highly effective at eliminating dander, but it’s also gentle, soothing, and calming. 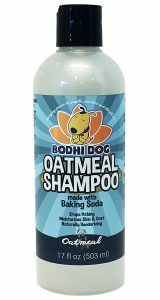 Bodhi Dog Oatmeal Shampoo is another solid pick for dogs with sensitive skin. Its all-natural ingredients offer instant calming and cooling to itchy, inflamed, and damaged skin. As it moisturizes the skin the shampoo’s natural oils also condition the fur, leaving your dog with a soft, shiny coat. You’ll love the natural apple scent that neutralizes odor and keeps your dog smelling fresh all day. Approved for use with dogs, puppies, cats, kittens, rabbits, guinea pigs, ferrets, and horses of all ages with normal to sensitive skin. 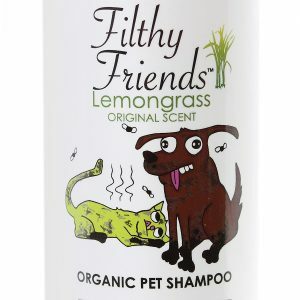 This Filthy Friends organic pet shampoo doesn’t contain any thickening agents, so it’s easy to apply and even easier to rinse off. The solution is gentle enough for sensitive skin, yet still plenty effective at cleaning away dirt, grime, and pests. Your dog will enjoy how it hydrates their skin and coat, and you’ll love the natural lemongrass scent that leaves them with a fresh smell all day. 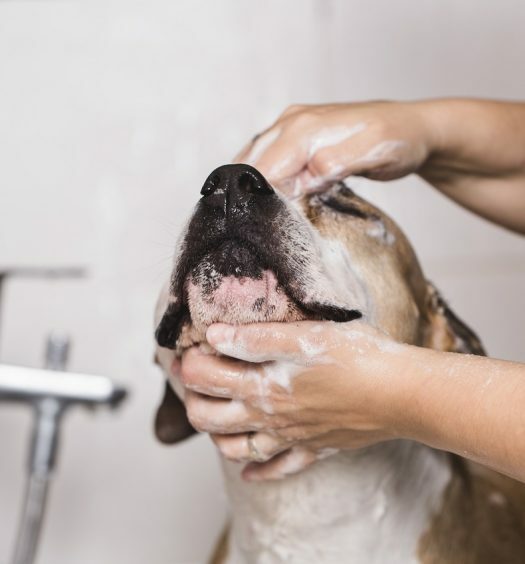 Here’s a slightly different option for you—in addition to regularly bathing your dog with an anti-dander shampoo, consider adding a wipe-on conditioner to the grooming routine. The Allerpet Dog Dander Remover is a damp wipe and conditioner that you can apply after bathing your dog. The Pet+ Anti-Allergen Pet Shampoo has three jobs—eliminate odors, remove dander, and provide lasting protection against ticks and fleas. Based on the customer reviews, it does a great job of delivering on all three. It’s a mild formula made with all-natural botanicals (plant and root extracts), with no dyes, fragrances, or ammoniates. The shampoo is also pH balanced to protect dogs with sensitive skin. It’s biodegradable, and every bottle is made in the USA. Every dog’s coat and skin is different, so they may take differently to various products. The best shampoo for one dog with itchy skin might not do the trick for another dog with inflamed skin. I’d recommend cycling through a few of these shampoos until you find the perfect fit. 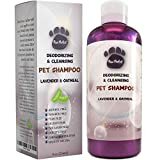 Based on customer reviews, the Bodhi Dog Oatmeal Shampoo seems to be the highest rated and most widely recommended dog shampoo for dander, so I’d personally start with that shampoo.